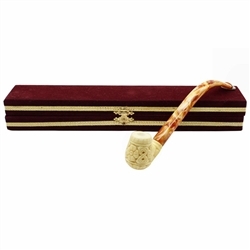 Hand Carved Meerschaum Floral Pipe Cigarette Holder by Medet - Also known as a Cheroot holder this is made in Turkey from top quality 100% solid block meerschaum. The holder is signed by Master Carver Medet who triple dips it in his special wax formula to create a warm color finish. This particular holder has a full bent stem. 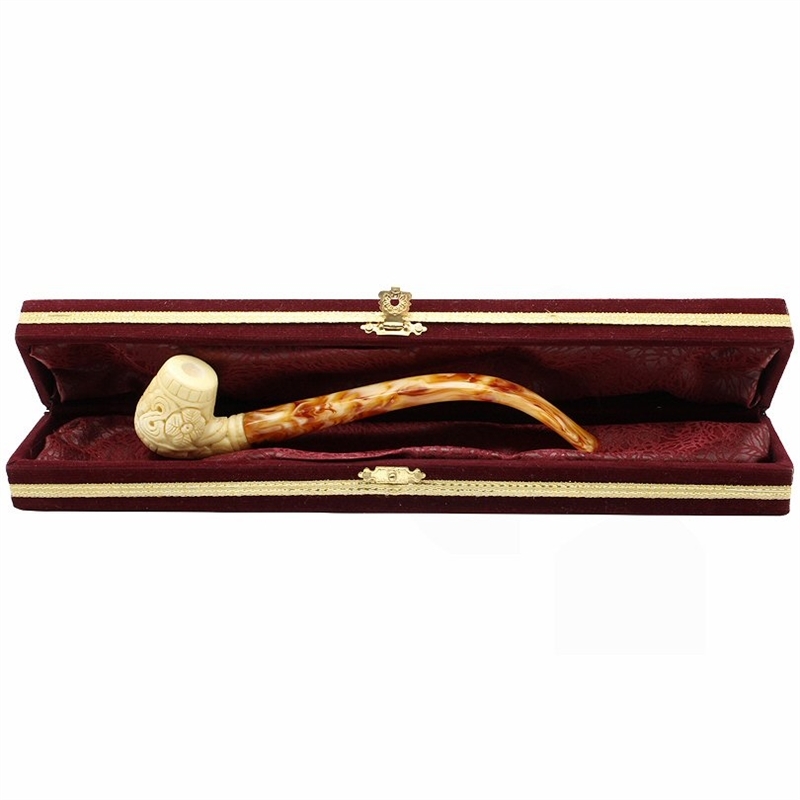 Since Meerschaum is a porous mineral the holder acts as a natural filter creating a smooth draw. Just like meerschaum pipes the holder will also turn a dark coco brown as you smoke with it. 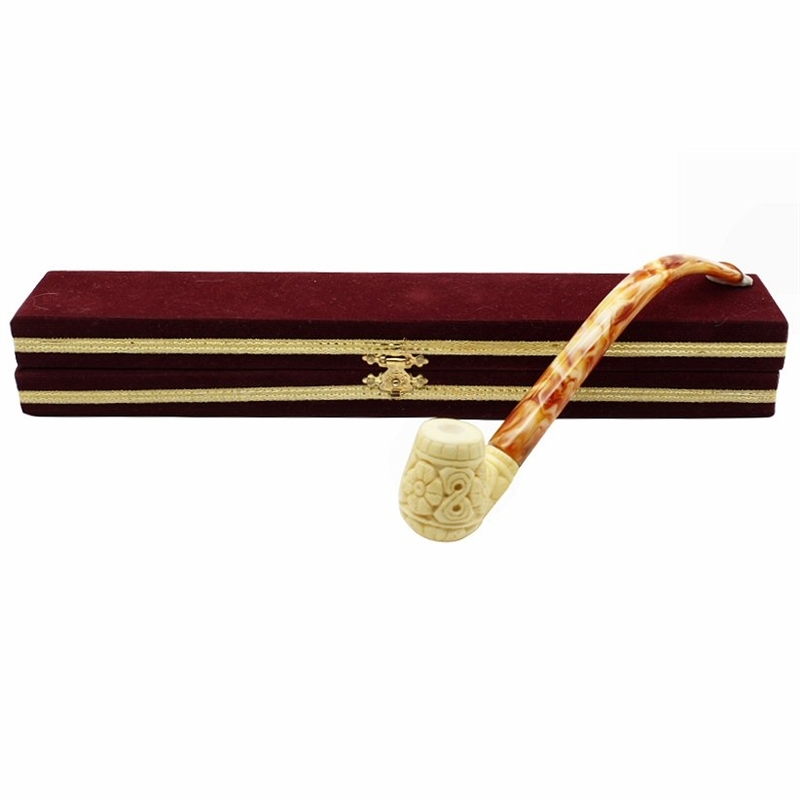 A definite one of a kind cheroot holder that comes in its own custom made burgundy colored velvet case. Even if you don't smoke this is a fantastic collector piece especially for that special pipe collector!